Firstly we full admit that none of us are artists and sadly the picture that we’ve drawn is pretty awful. 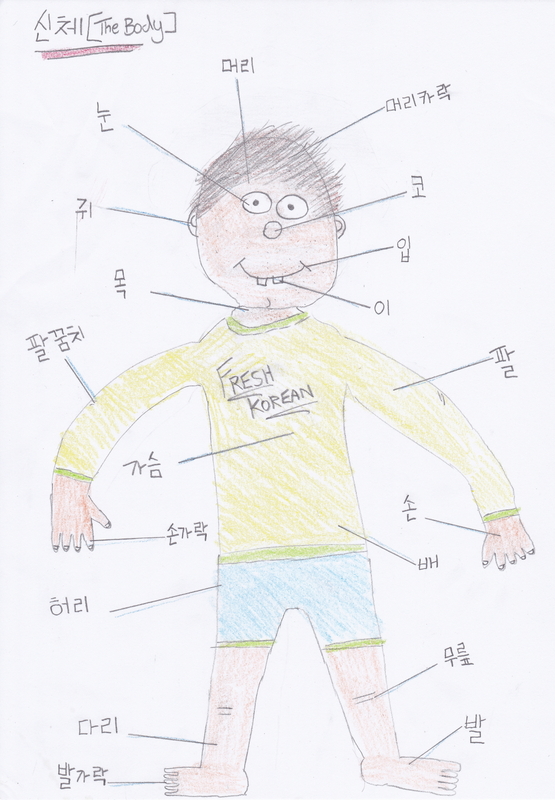 It has been likened to a 7 year old’s homework, however the main thing is the Korean Vocabulary surrounding the Annotated Picture. Thank you for your time and if your interested is checking out our other FREE Resources please CLICK HERE. This also will not be the last poorly draw picture we plan on providing the world with many more. Also details of our Korean Courses can be found HERE.